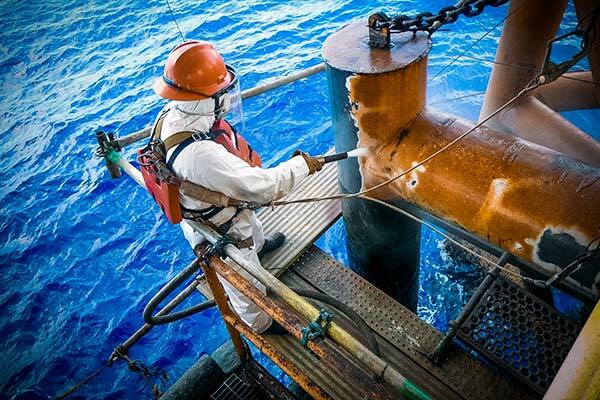 The toughest jobs made easy. 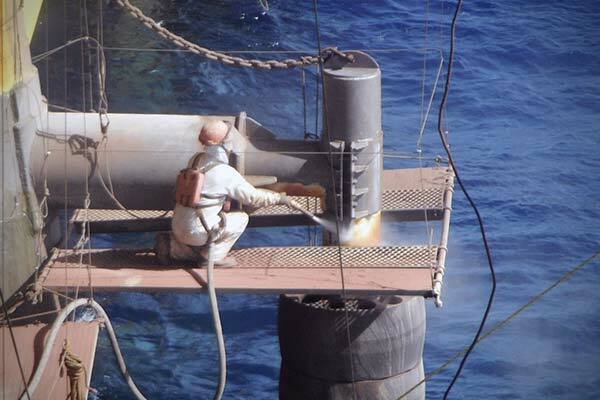 With Dustless Blasting, containment is incredibly easy, and in some cases, not needed at all. Nearby workers can continue unaffected, keeping you productive and profitable. Dustless Blasting will not affect your day to day operations. 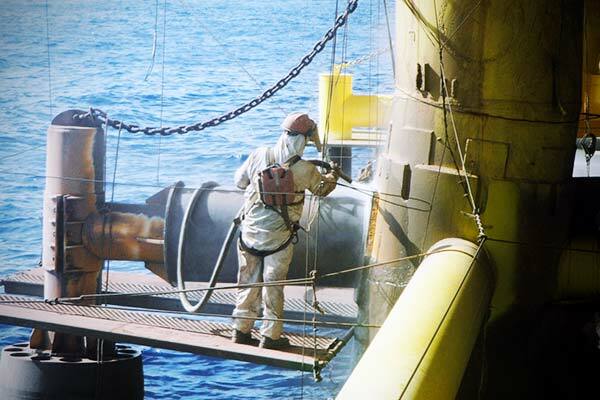 The ability to perform offshore maintenance quickly and efficiently without having to shut down plant operations is invaluable. Keep your workers safe and stay OSHA compliant by using Dustless Blasting. Unlike dry blasting, the process does not produce ignitable sparks, static electricity, or a huge plume of dust. Strip away rust and paint in minutes.. Melt away layers of paint in a flash.